In order to avoid major crises, restaurant executives must develop, implement, and maintain rigorous food safety practices. Here are three recommended steps. Each year, 48 million Americans become ill due to foodborne illnesses. Of those taken ill, 128,000 are hospitalized and 3,000 will subsequently die. Much of the responsibility for this problem lies with restaurants and their ability to adhere to food safety standards. One misstep in food handling can spell crippling illness for customers and massive losses for the business. Chipotle’s foodborne illness outbreak of 2015 is a prime example of a systemic breakdown in food safety compliance. Various contaminants (including E. coli and Norovirus) sickened nearly 500 people that year. The potential causes included were sick workers who weren’t sent home and a failure to maintain the appropriate temperature for cooked meat on the service line. Chipotle struggled to contain the situation and perform damage control. The company’s stock price dropped by roughly one-third in the last months of 2015. Individual stores experienced lower comparable sales from previous years. As of early 2018, Chipotle finally began to recover. 01.Create a task-based food safety process that adheres to required regulations. Cold-holding items must be kept at a temperature of 41 F.
Hot-holding items must be kept at a temperature of 135 F.
Any food in the restaurant must be kept 6 inches from the floor. Foodstuffs must be clearly labeled with (and disposed of by) expiration dates. Every restaurant’s processes will be slightly different depending on which ingredients they offer and how they prepare food for customers. Regardless, restaurant executives must ensure they understand each step of the process so they can apply the right food safety checks. Think of it as a form of insurance to protect against catastrophic events. 02.Apply the right technology to best administer food safety standards. The result of a restaurant’s food safety examination is a laundry list of steps to insert into existing workflows. And that’s where many restaurants go wrong: they leave the food safety process to a pen-and-paper checklist. When it comes to food safety, manual processes are easily forgotten, invite errors, and increase the potential of inaccuracy due to employee fudging. And yet, restaurants still overwhelmingly use pen and paper methods for routine food safety auditing. Of the 300 biggest restaurant chains in the U.S., roughly 91% use pen and paper for daily food inspections! Robust technology solutions can gather required food safety data quickly and easily — with minimal effort on the part of restaurant staff. ‍Five Guys employs a combination of RFID sensors and bluetooth temperature probes to automatically monitor temperatures for raw and cooked food in all 1,300 locations. And rather than checking off items on a list, Dairy Queen’s Franchise Business Consultants (FBCs) can snap time-stamped pictures of work areas to verify cleanliness or capture product expiration dates. 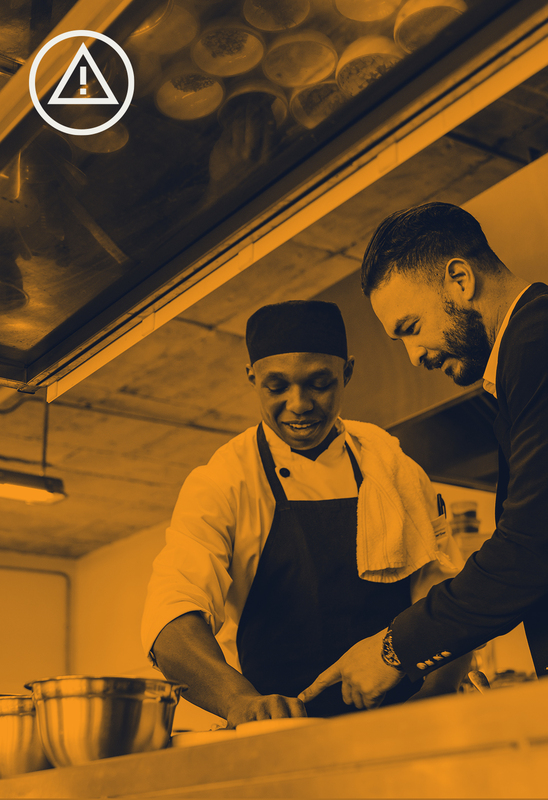 Armed with their task list, restaurant chains can tailor technology solutions to make sure food safety is monitored with minimal manual effort on the part of restaurant employees. Since implementing GoSpotCheck, the Dairy Queen system reduced time spent collecting and submitting photos and data to corporate by 80%. 03.Ensure corrective action when food safety falls out of compliance. Paper-based food safety processes are difficult to retrieve and offer low data visibility. There’s not much you can do with a paper checklist other than type it into a spreadsheet and combine it with numerous other data sets — at which point it might be no longer relevant. Connected technology solutions open up a new world of real-time, proactive possibility. However, just collecting food safety data isn’t enough. Restaurants must have plans to notify the right employees when the fryer is running at an incorrect temperature, the kitchen floor has gone too long since its last cleaning, or expired food needs to be tossed. To be most effective, rules that specify detailed requirements must be followed by protocol for what to do when a location is out of compliance. 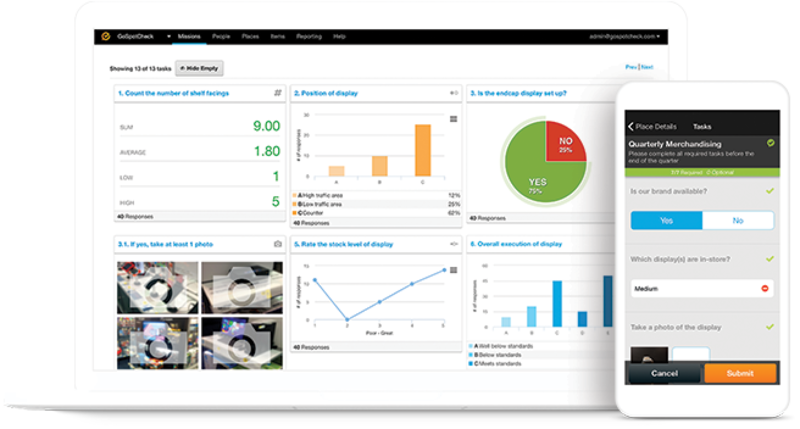 There’s a bonus to these centralized tools: Unified data collection allows corporate to analyze food safety data for trends across franchisees, specific locations, or geographic areas. Corporate restaurant staff can investigate which food safety checks were totally missed and whether others were completed in the appropriate time frame. Modern restaurants require a comprehensive, integrated, and proactive food safety strategy. Restaurants today can no longer afford to employ paper checklists for food safety — there’s just too much at stake. 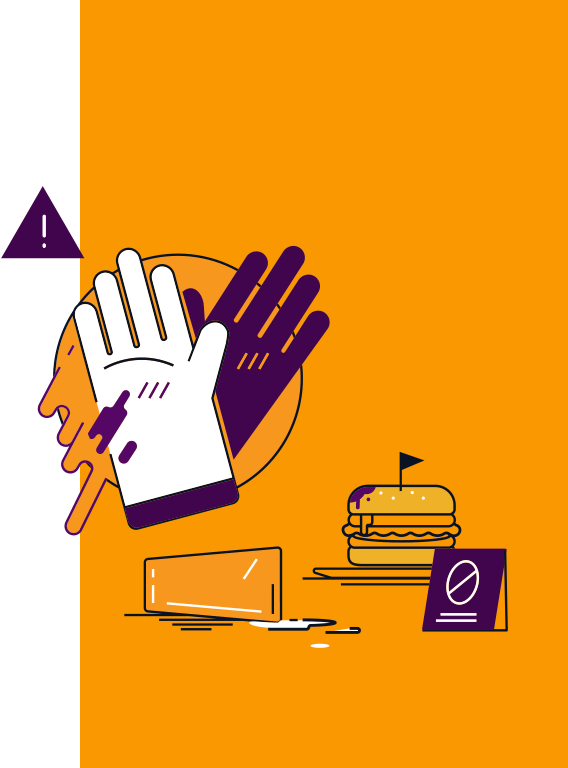 In order to protect customers, stay in business, and maintain their brand reputation, restaurant executives must approach food safety with a fine-toothed comb. That means examining every step in each restaurant to create an exhaustive task list, implementing the best technology solutions for effective data collection, and mapping out corrective actions when restaurants fail compliance checks.